Muhammad Ali widely regarded as one of the most significant and celebrated sports figures of the 20th century. The recent death of Muhammad Ali has made me reflect on what kind of legacy I want to leave behind in the world. Ali was a towering social and political figure – a beacon of hope for the voiceless. He used his global fame and celebrity power to campaign on civil rights, racism and oppression. A global champion, hero to generations. However, I believe everyone can make a difference. As a journalist, I have met so many people who have taken it upon themselves to give back to their communities. From mentoring and supporting vulnerable children, to volunteering in soup kitchens feeding the homeless or families living on or below the breadline. I wanted a job that would inform, inspire and educate others while creating change and saving lives. This ambition also applies to the charity and volunteer work that I have done and continue to do so in my spare time. However, I still feel that I can do more. Since entering the industry five years ago, I have covered the most amazing, inspiring and often heartbreaking stories. I remember writing an article a few years ago about a woman called Dela Idowu, whose brother was in desperate need of a kidney transplant. She had offered one of hers, but was rejected because of her own health issues. Black and south Asian communities are three to five times more likely to suffer kidney failure than white people, according to the national charity Kidney Research UK. As I listened to Idowu speak so fondly about her brother’s will to live, she also urged the black community to consider becoming ‘living’ donors. When the article was published two days later, I received a phone call from Idowu. She thanked me and said two people had approached her in the hospital saying they had signed up to be living donors after reading the story in the newspaper. This feeling of soul searching has only heightened following the series of high profile murders that have recently taken place. American singer Christina Grimmie, 22, a former contestant on The Voice, was shot and killed on June 11th, while signing autographs for fans after a concert in Orlando. The gunman, 27-year-old Kevin James Loibl, fatally shot himself after Grimmie’s brother Marcus tackled him to the ground. That same weekend, an American-born man who had pledged allegiance to ISIS gunned down 49 people in the early hours of Sunday morning (July 13th) at a gay nightclub in Orlando; the deadliest mass shooting in the United States and the nation’s worst terror attack since 9/11, authorities said. The UK has also been shocked by a violent, senseless, and shocking killing. Jo Cox, 41, a popular Labour MP of Batley and Spen constituency, West Yorkshire, was brutally murdered last Thursday, 16th June, as she carried out her regular surgery in the local library. I have read many heartwarming tributes about Cox, a dedicated public servant. Her humanitarism and charity work before her career in Parliament was vast, from campaigning to end the conflict in Darfur to highlighting the plight of children in Syria. I too share the same passion and vision. A legacy is like leaving a footprint on the world, how big it is and how long it lasts is up to each and every one of us to decide what we should do to create them, but each of us has the opportunity to make sure that foot impression is used to improve the lives of others and to make a real difference. 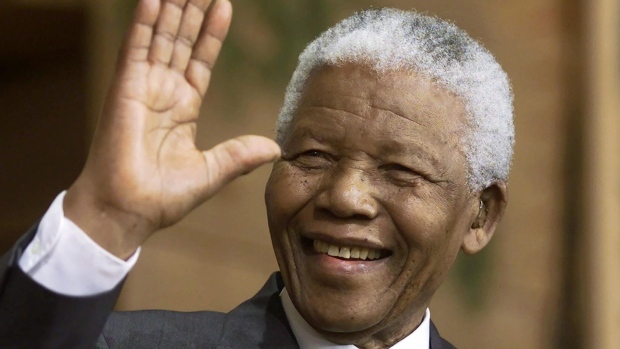 The South African activist and former president Nelson Mandela (1918-2013) helped bring an end to apartheid and has been a global advocate for human rights. While we all can’t be doctors, nurses, firefighters on the frontline or members of parliament dictating policy, I believe we all have the capabilities to improve lives and make this world a much happier place. Small things like donating to a charity, befriending your lonely neighbour or volunteering in your local community, goes a long way. It’s never too late. “We can change the world and make it a better place. It is in your hands to make a difference”, Nelson Mandela. I agree totally with you and kudos on the great job you are doing too. May our lights continue to shine!